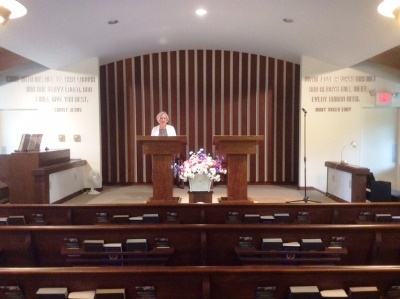 at 617 E. Hamilton Ave., State College, PA.
Sunday school for ages 5-19 is at 10:30-11:30 am. Subjects covered include the Ten Commandments, the Sermon on the Mount (Matthew 5-7), and other topics as presented in the weekly Bible Lesson Sermon. This is the same time as our Sunday church service. Wednesday evening meetings are at 7:30-8:30 pm, They include hymns and reading of scripture selections and selections from Science and Health with Key to the Scriptures by Mary Baker Eddy that focus on timely topics applicable to daily needs. An important part of these meetings is sharing firsthand accounts of spiritual healing and other remarks on Christian Science. For a copy of the recent Wednesday evening readings, click here. 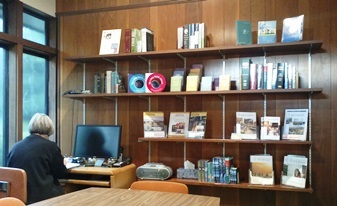 Our Reading Room is open 11:30 AM - 1:30 PM Monday through Friday and after the Sunday and Wednesday services. We have a quiet room for prayer and study and a place for questions and answers. 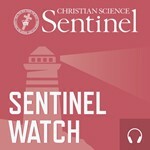 Available to read there, borrow, or purchase are the Bible, Bible reference books, Science and Health, periodicals including the weekly Christian Science Sentinel, the monthly Christian Science Journal, and the weekly print edition of The Christian Science Monitor. An attendant is on duty to help you explore and to answer questions.